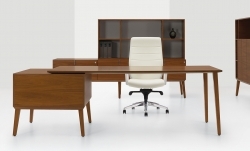 A new century modern collection of wood veneer desks, tables and storage elements. A refined design through the integration of wood veneer and laminate finishes. 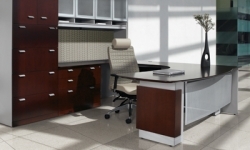 Create classic private offices or modern collaborative workspaces with naturally beautiful wood veneer desking.